After conquering Android mobile ecosystem, if you thought the game to be over, you could be wrong. With TV destined to reclaim its lost ground, making presence there is a necessity rather than an obligation. Sounds odd? It may be, to many as we are trapped in mobile-first fever, but here is why and how you should champion this traditional platform once again. The digital media consumption insights available with eMarketer reveals the dominance of TV. The adults in the US spend almost 4 hours a day with TV. After smartphone, TV is the next thing that keeps consumers engaged. So leaving TV platform in abeyance is to mitigate your success prospects. We have contemplated much on small screen, let’s turn the spotlight on monetizing the giant screen as big as 110-inch, but in a different way. A smarter approach is required since with the emergence of IPTV and availability of entertainment and news services like Amazon Video, Netflix, Hulu, Google Play, iTunes, to name a few through VOD (video on demand) model, TV viewers have become more demanding. Not just they want quality HD and super HD content, but also a quick and easy access to it as they are able to do that on their smartphone and tablet. Interestingly, their penchant for mobile apps continues on TV also. However, they want to enjoy the best of two worlds. So, if you want to catch up to the expectation of your target audience, up the ante resorting to innovation and make your mobile content or information available to consumers through TV apps as well. Bridging the UX between two display factor, you are likely to earn the brownie points. If you aim to reach out to your target audience on Android TV, the time is perfect. The release of Android O, a mobile operating system, on March 21, 2017, by Alphabet owned Google might not have received the attention of many. However, this a measured and prudential step by the think tank of this California-based company as consumers spend a whopping 4 hours a day watching their TV screens. So after phone, it’s TV that keeps them busy. The best thing about Android O, which is to supersede Android Nougat, is it will entertain Android users everywhere from small display to big display. 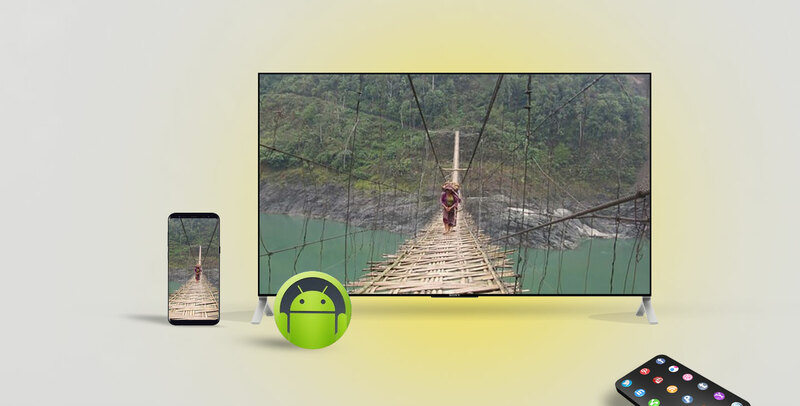 Yes, besides entertaining smartphone and tablet users, Android O is to help Android TV consumers customize their home-screen with channels and programs that they watch. It provides a TV Launcher that provides quick access to TV content to consumers. As of now three Developer Previews for Android O has been released; forth-and-near-final Developer Preview is likely to come this month. The final public release is scheduled in the fall somewhere in September. Technology has become so much pervasive that every company irrespective of its business nature has now turned into a technology company to catch up with the requirements and interests of the target audience. Whether you are into retail, hospitality, media or publishing, healthcare, entertainment or anything else, it’s hard to deny the significance of web and mobile applications. So irrespective of the sector you are in, leveraging Android TV app development services, you can make a difference to your customer-engagement model. See how this Drinxology Android TV app is helping its beverage kiosk owners to drive sales and marketing endeavor delighting users with instant and easy service. The user attention and patience level has reached the tipping point. It can be witnessed with respect to every service. But it’s more noticeable in terms of accessing digital services. The customers are likely to wait for 15-20 minutes at a restaurant in getting the meals served, but, if your app takes more than 10 seconds to respond, it’s most likely to be sent to the recycle bin or trash. The uninstallation of the app takes away the business opportunity to your competitor. Though Android O is packed with an array of new features and capabilities, you need to be in touch with the right technology partner that can make those work for the end users. The user wants a connected experience. The content consumption points are likely to vary from desktop to laptop to smartphone. But all that a user wants to have is the connected experience so that he or she can resume his previous journey without any confusion or wasting any time. Say thanks to multi-display support available with Android O. Keep user-experience connected across all Android platforms to delight users. If you already have a mobile app, Android O makes it easy to migrate the given app to Android TV. The user wants simplicity in dealing with a brand. The customers are most likely to quit an app that demands too many information from users, and the situation exacerbates when the form demands repetitive information. So, ask your Android TV app developers to simplify task like account creation, login, and credit card transactions. It can be done easily with Autofill Framework available with Android O. So, the need of the hour is to deliver on to the expectation of the impatient consumers, thereby making a difference to what they do.